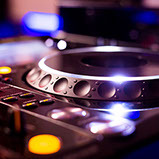 Should you not require a DJ, we offer a range of audio solutions for your wedding or event. Our RCF systems range from a small, single microphone / speaker combo ideal for background music or speeches through to multi speaker systems suitable for larger events. All our RCF speaker systems are modern “active” models with amplification, mixer and digital signal processing built into each unit. This technology allows for easy ‘plug and play’ connectivity and allows MP3 players, smart phones and tablets to be directly connected with ease. For voice reproduction we include the legendary Shure SM58 digital wireless microphone system. 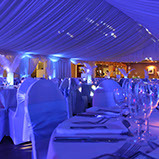 This option gives your event that extra special touch by matching venue to a colour of your choice. The LED uplighters are quiet, safe to touch and give your room an amazing ambience. Our units have been upgraded to the latest wireless technology and are finished in a beautiful white. They can run on mains power or internal battery meaning they can be placed anywhere within your venue with the need for unsightly cabling. The wireless connectivity means that the colour of the units can be changed at the touch of a button. Each unit is equipped with 4 x 5w high spec LED drivers: red, green, blue and amber – this allow for a vast combination of vibrant colours. Our Magna Tubes can be fitted to the up-lighters to create a very different effect, use them to create walkways, catwalks or illuminate your exterior area’s. You can choose from a range of options including static, general fade or even sound mode where the full range of colours will change to the beat of the music. The units are included in our Silver & Gold packages or can be supplied on their own. Introducing our ‘Dancing in the Clouds’ experience! 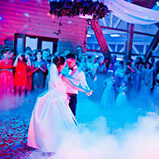 Amaze and wow your guests when you take to the dance floor in a cloud of floor hugging dry ice. Safe, non-toxic and fire alarm proof, this is the ultimate choice for your wedding or event! Our Le Maître Peasouper is a professional and powerful dry ice machine which heats enough water to create low fog from 10kg of dry ice and provides approximately 4 minutes of run time. 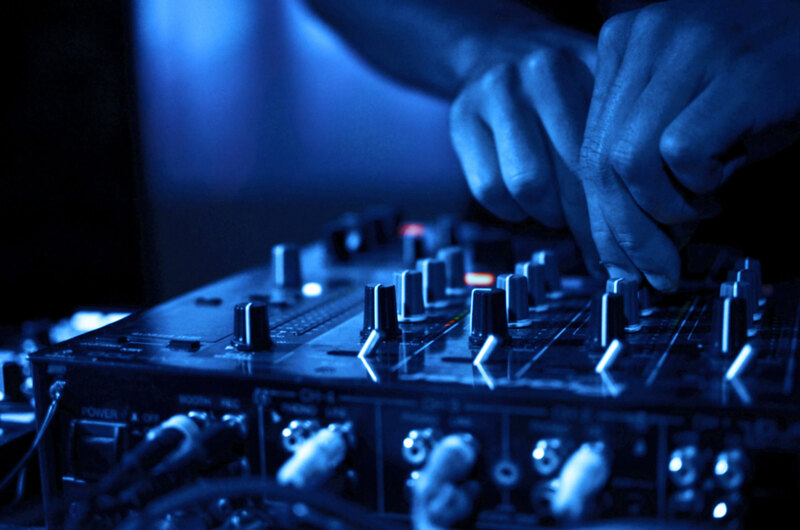 The output and flow can be easily controlled to give the perfect effect. This incredible effect is included with our ‘Gold Package’. It can be added to our Bronze and Silver packages or supplied on its own. *due to Health & Safety and the nature of dry ice, the unit can only be operated by Euphoria Entertainments.